From 2012 to 2013, the Company’s net revenue jumped from R$ 9.4 billion to R$ 12.1 billion. Ebitda (earnings before interest, taxes, depreciation and amortization) totaled R$ 3.5 billion, compared to R$ 3.1 billion in the previous year. 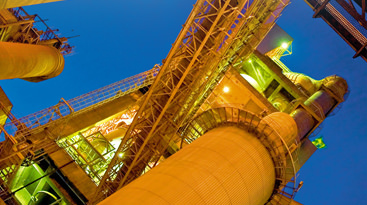 These results contributed to give Votorantim Cimentos, in April 2014, a global-scale Investment Grade by risk agencies S&P, Moody’s, and Fitch, making it the only Brazilian company in the cement sector to obtain this rating. Another highlight was the consolidation of the integration of international operations, a process in line with the strategy of building a unique corporate culture. “We’re going to be working more and more with various ‘accents’ in the 14 countries where we operate, but with a single voice and the spirit of a single team. We’re building a global, people-oriented company, focused on the customer and guided by performance and operational excellence, with an inspiring environment and open dialogue,” stated Walter Dissinger, Global CEO of Votorantim Cimentos. In 2013, Votorantim Cimentos also invested R$ 10.4 million in Social Responsibility initiatives in the communities where it operates, with the aim of promoting local development through the growth of each region’s economy. For 2014, the company will move ahead with the biggest investment plan in its history, which began in 2007 and will reach R$ 11 billion by 2016, in addition to the 8/18 plan, which consists of adding 8 million metric tons of production capacity by 2018. The awards ceremony for Exame Magazine’s Guide to the Best & Biggest was held on Monday (6/16) in the city of São Paulo, and featured 18 companies from various industry segments. To choose the winners, the judges assessed data from over 3,000 companies as well as the largest private groups in Brazil, based on individual and non-consolidated financial statements. To come up with the list of the 500 largest companies, plus an additional list with the next 500 – totaling 1,000 companies in all – the ranking criterion corresponds to net sales. The project includes scores from different angles of business excellence (Return on Equity, Liquidity, Wealth Created per Employee, Growth in Sales, and Market Leadership), whereby the best companies in various industries are chosen. In addition to the points obtained in these five indicators, the company can be given bonus points for having been featured in another one of Exame Magazine’s yearbooks (Exame Magazine’s Guide to Sustainability and Exame Magazine’s Guide to the Best Companies to Work). Exame’s Best & Biggest also features several other lists of companies, organized by economic sector, region of the country, state, source of capital, and a series of performance comparisons: highest net worth, highest profits, highest losses, fastest growing, fastest shrinking, most and least profitable, most and least indebted, highest liquidity, biggest by circulating capital, largest employers, largest by net revenue, those that operated in the red, those that got out of the red, those that paid the most taxes, those with highest investments in fixed assets, those with the highest payroll, those that created the most wealth overall, those that created the most wealth per employee, and the most productive.